What is the Shogunate System? The Shogun is literally the Commander-in-Chief of all military sections of the Japanese empire. They rule over the warriors, known as samurai, and are known to come from noble families. They work as advisers of the Emperor and are members of the court. Ideally, the shogun in Japan is considered as its military ruler. It is their responsibility to control the military power of the country and protect the interests of the Emperor. In most books, articles, and references, shoguns are considered as dictators which control the power of governance of the Empire of Japan. What is interesting about the shogunate system is the fact that an Emperor still has the seat of power and the shoguns were naturally ‘appointed’ by the royal ruler. The shoguns are actually under the rule of the Emperor’s laws. Despite this, the shoguns still have absolute power over the country due to the fact that battles and disputes over land were common at the time. The power of the government comes from the land it rules over and equivalently, the land is ruled over by daimyos (or noble landlords). The more lands a daimyo (or family, or clan) has, the more warriors and power they have. Thus, the more influence they have on governance. Because of this, the shoguns have become the de facto ruler of Japan despite the presence of the Emperor. They are literally the “rulers of the land’. Since then the families of military leaders have become unstoppable. This was a time in Japan’s history when the Shoguns seemed to have more control and power than the royal ruler. They have completely abolished royalty and have replaced the Emperor as the head of the Japanese state. It was in the Heian period when the military started to become more influential than court officials and became trusted advisers of the Emperor. Then in the 11th century, a man named Minamoto Yoritomo seized all power and control from the Emperor. From then on, the shogunate leadership title became hierarchical which is passed on from father to son for the next 700 years. The Ashikaga clan was the family responsible for establishing the Muromachi shogunate which ruled Japan between the early 1300s to the late 1500s. All in all, they had fifteen shogun leaders which have dominated the military rule of Japan. It is believed that they have branched out from the Minamoto clan. When the clan leader of the Minamoto died, the Ashikagas took it upon themselves to become the head of the Minamoto. This has established their number, their influence, and their power while assuming the prestige and pride that comes with the Minamoto name. The rule of the Ashikaga clan ended when Ashikaga Yoshiaki officially resigns from his role as shogun in the late 1580s. Majority of the rule of the Ashikaga clan occurred during the Sengoku period when there was much political unrest in Kyoto. This was a time when the shogunate title almost had an empty meaning, especially in the latter part of the Muromachi rule. 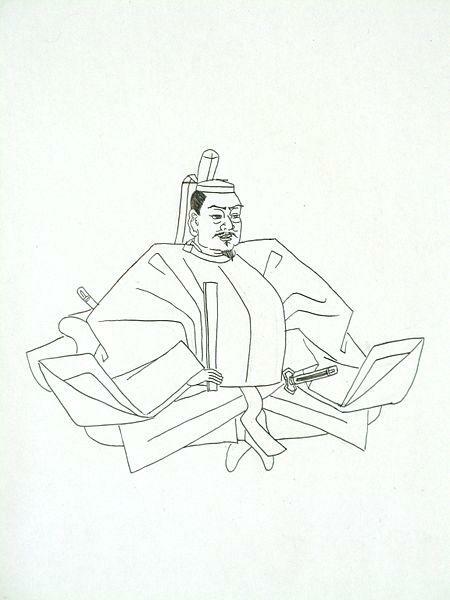 The Sengoku period ended when the Tokugawa shogunate was established by Tokugawa Ieyasu. Yoshihide was born in the year 1538 to the ruling Shogunate clan of Japan, the Ashikaga. However, he was not a part of the limelight as he was not an immediate part of the central ruling family. Ashikaga Yoshihide was not brought up to become a Shogun simply because he was not a son of a ruling shogun. Like his father before him, he was trained merely as a warrior but supporters were secretly debating whether or not he had a claim to the shogunate title. His father was Ashikaga Yoshitsuna who himself was a part of very interesting controversies in his lifetime. His mother was the daughter of the Ouchi clan head, Ouchi Yoshioki who at the time was part of the most influential and powerful clans in all of Kyoto. His paternal Grandfather was the 11th Shogun of Kyoto. A descendant of ruling clans from both parents, his lineage can almost be equated to royalty. When Yoshihide became an adult, he married a woman named Lady Yuki but there seem to be no records to indicate if they had children of their own. Officially, by all means of declaration and recognition, Ashikaga Yoshihide is the 14th sei-i (seii) Taishogun of Japan. Out of all the long list of Muromachi shoguns that ruled through the centuries, Yoshihide probably had the shortest reign which only lasted a few months. Because of that, he had the least amount of accomplishments and recognition. Yoshihide was the son of a samurai named Ashikaga Yoshitsuna. On the other hand, the 13th Shogun Yoshiteru was the son of the 12th Shogun Yoshiharu. The 12th Shogun Yoshiharu and Yoshitsuna are brothers and are both sons of the 11th Shogun Yoshizume. 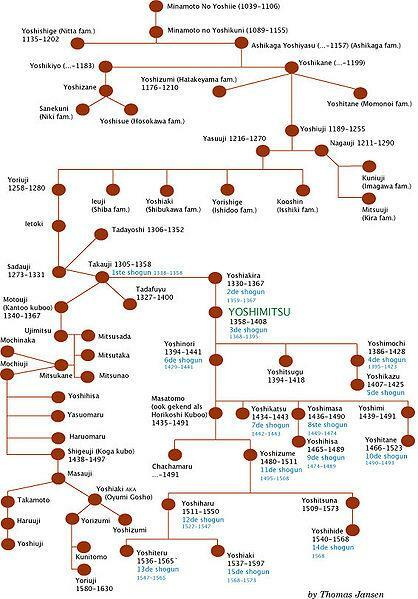 This family tree shows that the 13th Shogun and Yoshihide were first cousins. Both men came from very powerful forefathers who held the Shogunate title in Japan for more than two centuries. They are both descendants of Takauji, the first Shogun of the Ashikaga clan. Their great-grandfather was Ashikaga Masatomo, the third son of the 6th Shogun Ashikaga Yoshinori who in turn was the great-grandson of Takauji. This man, Masatomo was known to be the Kamakura or Kanto Kubo – the chief officer to rule all Samurais in the Kanto region in the late 14th century. It is common for the shogunate title to skip between family members, from brother to brother or cousin to cousin, when the presence of a rightful (and eligible) heir is questionable. When the 13th Shogun Yoshiteru died, people were already expecting either his son (Ashikaga Yoshitaka) or his brother (Ashikaga Yoshiaki) to take the title. When comparing all three possible heirs, the son had the most credible claims to the throne simply because he was the son of the ruling Shogun. In the case that he is ineligible to rule, Yoshiteru’s brother Yoshiaki has a much better claim since he is much older than Yoshihide. Still, Yoshihide was able to get the Shogunate title and there are lots of political controversies behind it. It is well-known through historians that the Japanese shogunate is a hierarchical system where the sons and grandsons of living shoguns have the sole right to the Shogunate leadership. In spite of the fact that Yoshihide had the regal Ashikaga blood, there are two or so people before him in line to the Shogunate title. But, again, the controversies with his lineage make his claim a tad bit more credible. What makes Yoshihide special compared to all other Shoguns who reigned from the Ashikaga clan is the fact that his family lineage had a lot of plot twists and controversies. During his lifetime, many people have debated whether or not he truly is a shogunate heir. At first sight, he does not have a direct claim to the shogunate title for a variety of reasons but there is more history beyond the two of them which could possibly explain the progressive downfall of the Ashikaga clan. 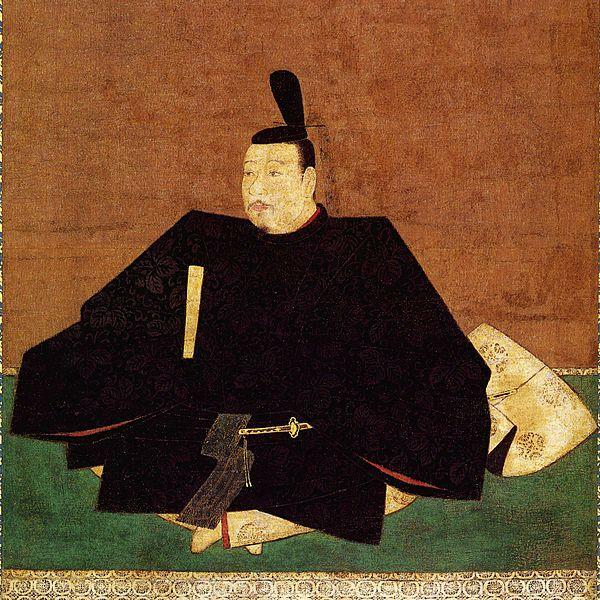 Yoshihide’s father, the late Ashikaga Yoshitsuna, was never a Shogun in his life and there are still controversies pointing to the idea that he should have had a shot at the shogunate leadership. Both Yoshitsune and 12th Shogun Yoshiharu were adopted sons of the 10th Shogun, Ashikaga Yoshitane. Both are also the biological sons of a (then) samurai named Ashikaga Yoshizumi, who was the cousin of the 10th Shogun Yoshitane. Right before the 10th shogun’s death, he had declared Yoshitsuna as his rightful heir and anticipated successor. As Yoshitane died a premature death, it was apparent that his family did not agree with his declaration. Following the rules of the law, the cousin of 10th Shogun was declared to be the rightful heir. Thus, Yoshizume, the biological grandfather of Yoshihide, became the 11th Shogun of Kyoto. Yoshihide’s father had another shot at the Shogunate title when his father died an untimely death. He was the older of the two sons and was the chosen heir of the 10th Shogun as well, it felt like he was already readied for the role. Then again, the title was coveted by his younger brother Yoshiharu who became the 12th Shogun of Kyoto. In fact, Yoshihide only took the Shogunate leadership role three years after the 13th Shogun committed suicide. At this time, there was an obvious powerplay coming from influential Daimyos and clans surrounding the Ashikaga family. It was evident from all the interludes that the power of the Ashikaga family would only last long enough. One of the powerful landlords at the time, Matsunaga Hisahide, was the one who installed Yoshihide into his role. He was one of the most popular daimyos during this time and was a retainer of the famous Miyoshi Nagayoshi. Both came from ruling samurai clans who had interests in the shogunate leadership. To make sure of their influence in the rule of Japan, both families have invested in Ashikaga Yoshiteru. However, due to political tensions and rivalries, the man committed suicide. Out of fear of having the same fate, Yoshiteru’s brother fled. Hisahide and Miyoshi had no other choice but to install Yoshihide into place. They have used the shoguns for their personal interests and to make sure their ulterior motives are met. Pretty much, the shogun is “nothing more than a rubber stamp”. This means that they need the shogun only for the signature, but all other decisions are done by Miyoshi and Hisahide. Sadly, Yoshihide only had about three months in his time as shogun. It took about three years after the death of his cousin for him to be put to place. Once he was already declared as the shogun, he contracted an incurable illness and soon died before being able to do anything remarkable. Yoshihide ruled in the year 1658. However, almost at the same time that he became the shogun a man named Oda Nobunaga together with his armies started marching towards Kyoto with Yoshiaki Ashikaga as their proclaimed shogun. Right before they arrived in the capital, Yoshihide already expired while Hisahide and Miyoshi were already in disagreement. Seeing that they will lose to the fight, he took the side of Nobunaga against Miyoshi. Soon, Hisahide decided to kill himself. This pretty much marked the end of the Ashikaga rule. There were no specific records of how Yoshihide died other than the fact that he contracted an incurable and contagious disease. This was a time when diseases like syphilis, smallpox, and the like. Bacterium was transported by traders from different parts of the world and the country started to experience diseases they have never seen before. On the other hand, it is unsure what kind of contagious disease Yoshihide Ashikaga contracted. Interestingly, the latter parts of the Ashikaga reign were questionable. It was unclear when exactly the power struggles began, but there are records that show that all shogunate leaders starting from the 12th Shogun were merely puppets of much more powerful families in Kyoto. This is why Shoguns are “installed” into the role instead of succeeding them. At the time, there were no party or group that could vote for who the next shogun should be – thus battles all around. The presence of Oda Nobunaga changed the course of history, especially with his rivalry against powerful men from sections of power like Toyotomi Hideyasu and Tokugawa Ieyasu. Even influential monks like Shimozuma Rairyu have taken the latter’s side to create change in the current government system. In fact, even the 15th Shogun Ashikaga Yoshiaki knew that his role as Shogun was merely an empty title forcing his resignation in his role in the 1580s.